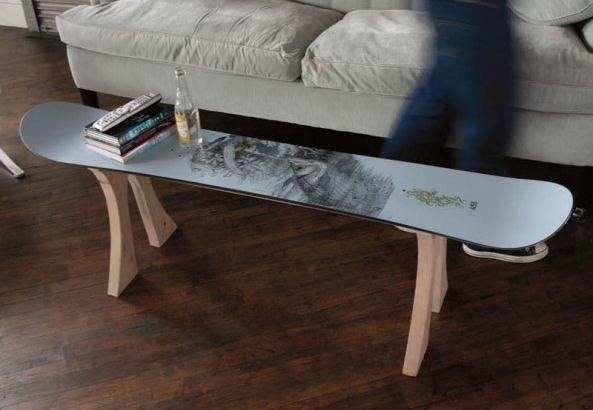 Check out this sweet project where a table is made from an old snowboard. 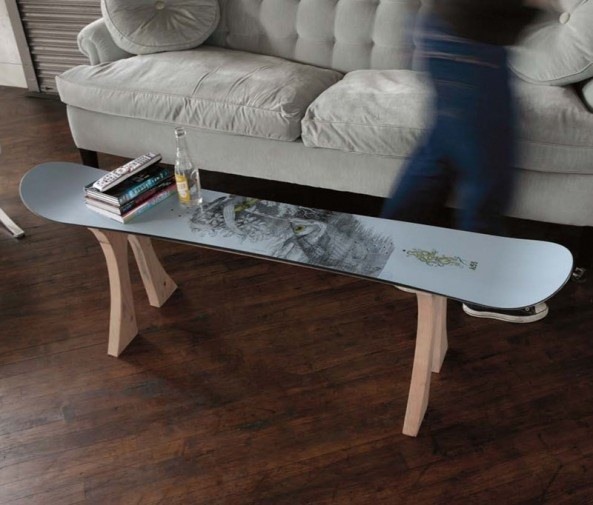 An old skateboard could be used to make an end table as well maybe! Convert a thrashed board into a space-age coffee table. How To: Build an Awesome Hall Table!